JL Carpet Cleaning is offering 3 areas cleaned for just £99. Its the same great service as normal using eco friendly products and our latest equipment. * Please check the terms below to make sure this package suits your requirements, if it doesn’t then please don’t hesitate to call us and we’ll do our best to make it work for you. We ask that areas to be cleaned are cleared of the furniture that you want us to clean under. We’ll happily move sofas around if needed though. Some carpet types i.e Axminsters and Wilton carpets require extra processes to clean. These carpet types aren’t included. For people moving out, moving in and needing end of tenancy cleaning, we are offering our best end of tenancy cleaning offer. This deal applies ONLY If your house is unfurnished and completely clear. 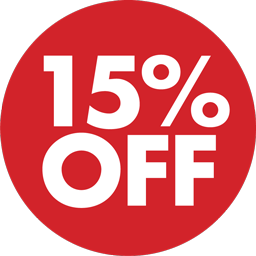 If so we can offer you upto 15% off our normal prices. Also you’ll receive our same great service and cleaning techniques as well.